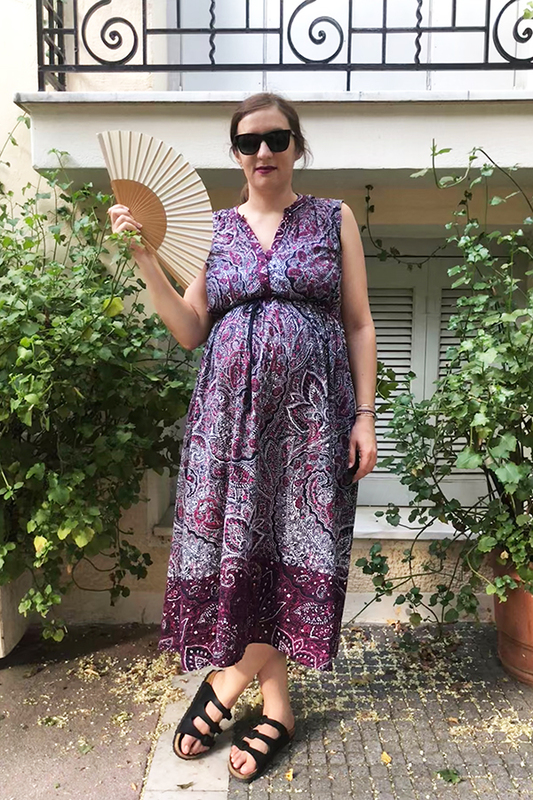 Sorry it's been a while since the last time I did an outfit post here on the blog. Have been busy making baby #2. 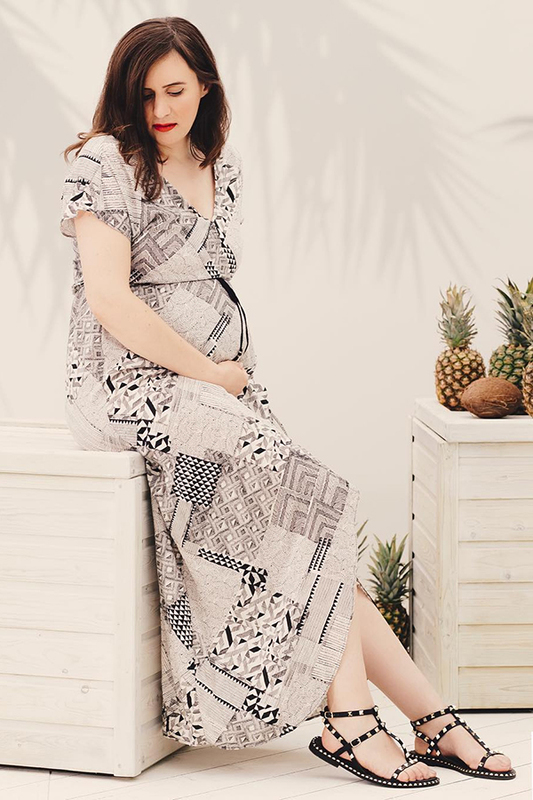 Get through the pregnancy while buying and wearing as little maternity wear as possible. Actually, this time I didn't buy any new maternity stuff whatsoever, as was already stocked up with all the basics I needed from the last time. As you may have heard, the second time around the belly pops much earlier. So during the first and second trimester I was wearing loose shirt dresses and maternity leggings (bought during my first pregnancy). Light blue button-down, PINK WOMAN. Black maternity leggings, H&M. Dark orange knit cardigan, H&M. 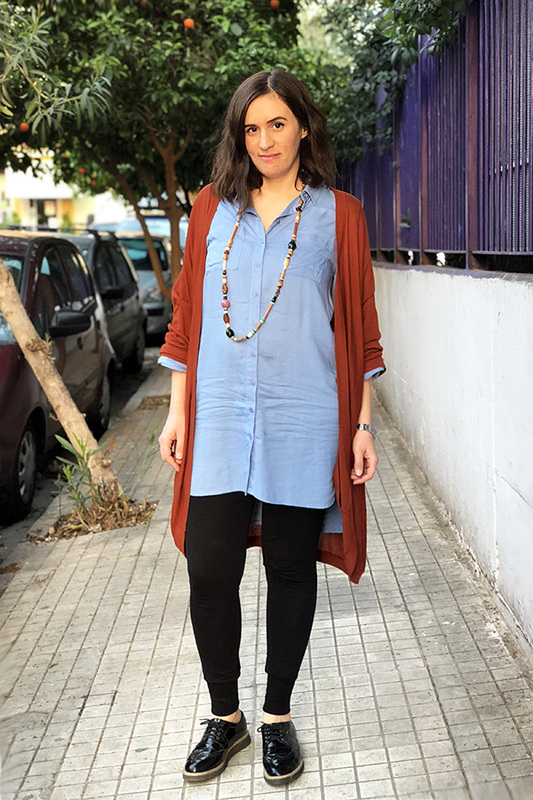 Wooden beads necklace, H&M. Black patent brogues, MIGATO. Godmother at the christening of Mariza, daughter of bestie mommystyle.gr! 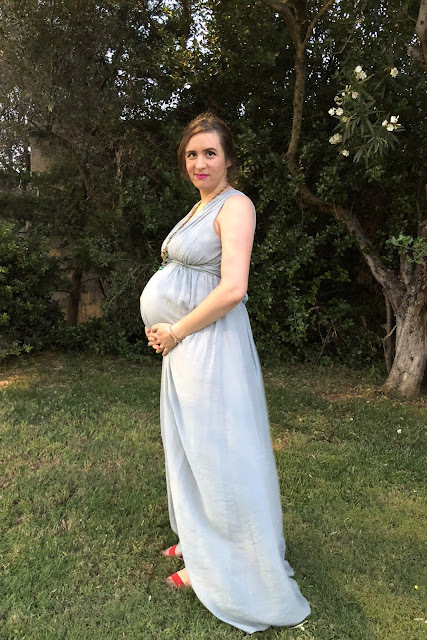 Still at that point in pregnancy where if I didn't emphatically hold my belly in photos, I just looked like I ate 3 burgers. 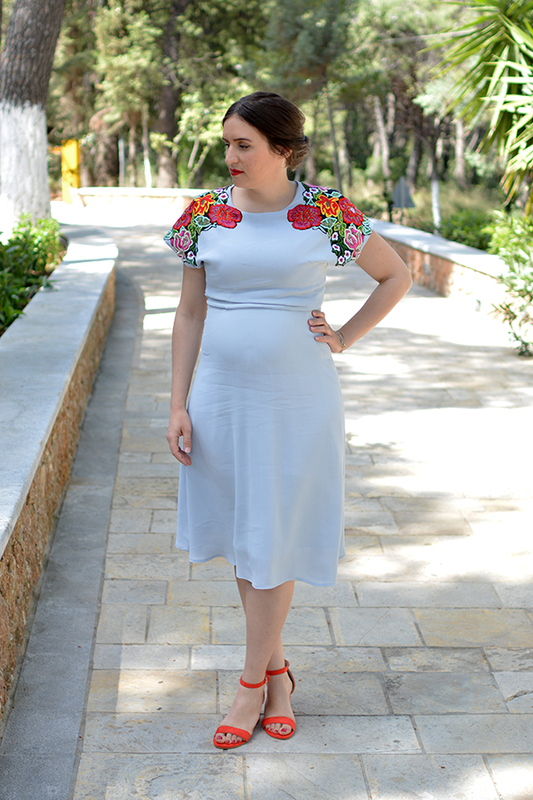 Light blue crêpe dress, ASOS. Red block heel sandals, MIGATO. At the opening of the MIGATO store in Peristeri. These heels are seriously the most comfortable shoes ever. Fancier than flats, yet totally doable for those of us who cannot handle heels. 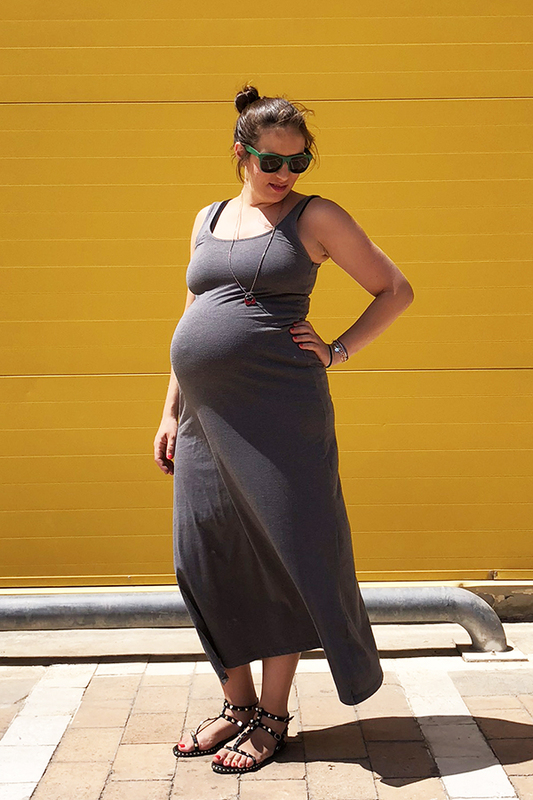 I totally recommend low block heels when expecting. Blue floral midi dress, ZARA. Red block heel sandals, MIGATO. 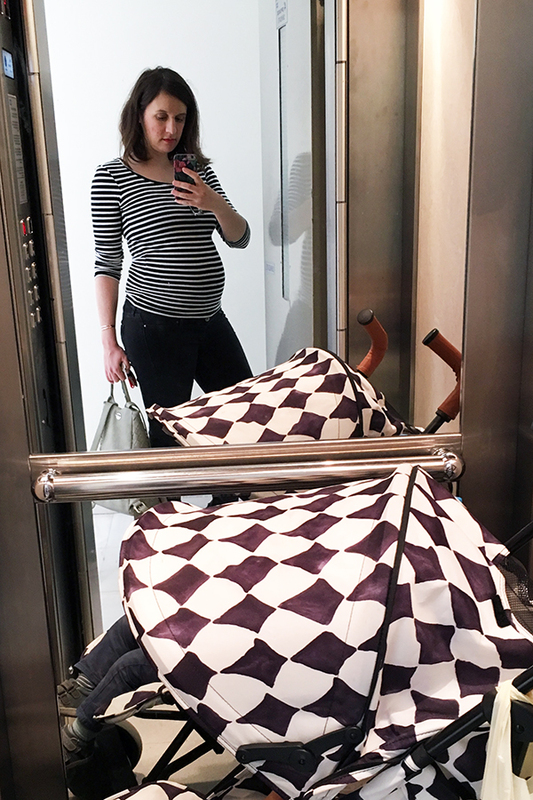 Unfortunately I didn't caption many casual outfits during this pregnancy, but most of them were pretty much these maternity jeans along with a non-maternity stretchy or loose-fitting top. Maternity dark jeans, H&M. Stripy top, ZARA. Short trip to Rhodes, attending the local Marathon event and sightseeing. 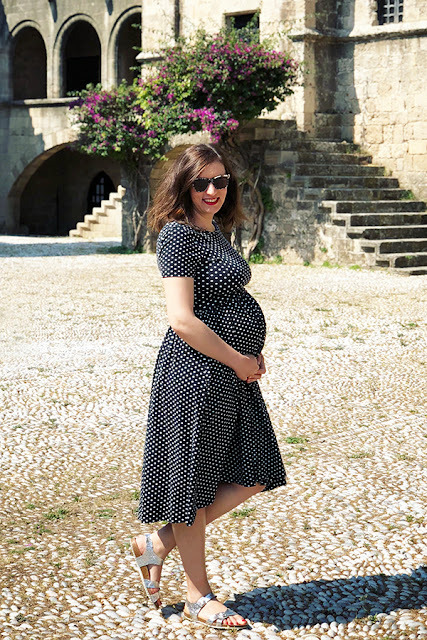 Polka-dot skater dress, ASOS. Silver sandals, ZARA. Sunglasses, WEAREEYES. 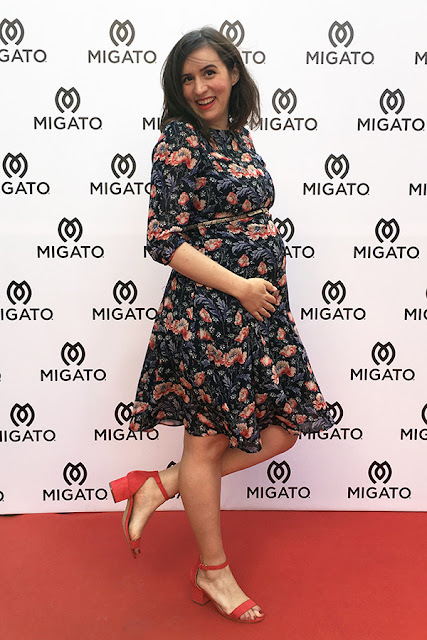 Posing for Panos Georgiou at the MIGATO store opening event at Smart Park. Black and white dress, OYSHO. Studded sandals, MIGATO. 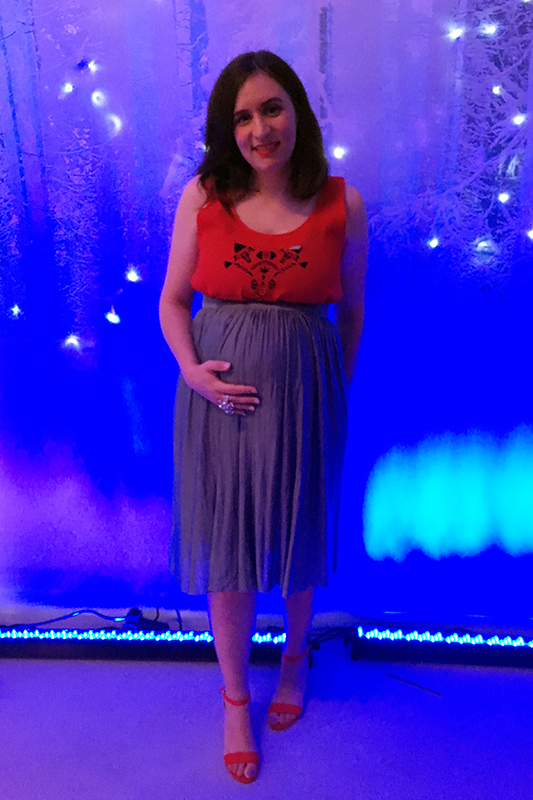 Later on the same day, attending a good friend's wedding, wearing a dress I made myself! Dress, sewn by me. Sandals and clutch bag, MIGATO. Necklace, UTERQÜE. Attending a Swarovski press event. Red laser-cut top, SOMF. Skirt, ZARA. Red block heel sandals, MIGATO. Statement ring, SWAROVSKI. At another wedding. I managed to find a dress where I could graciously fit the bump, yet is not maternity. Mint maxi dress, MOUTAKI. 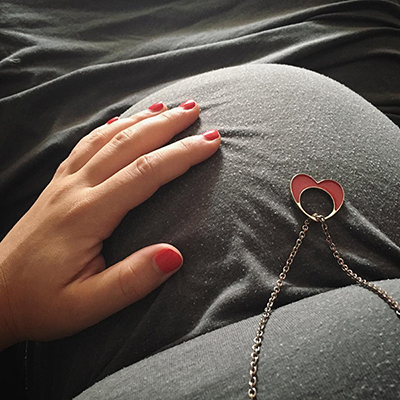 Necklace, UTERQÜE. Red block heel sandals, MIGATO. Sunday afternoon walk around the neighborhood. 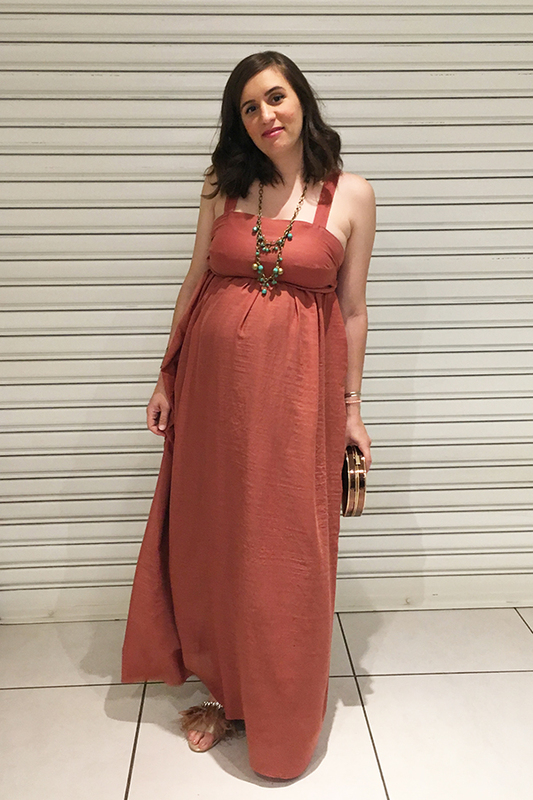 Dress, OYSHO. Sunglasses, WEAREEYES. Sandals, BIRKENSTOCK. Shopping around for a rocking chair. 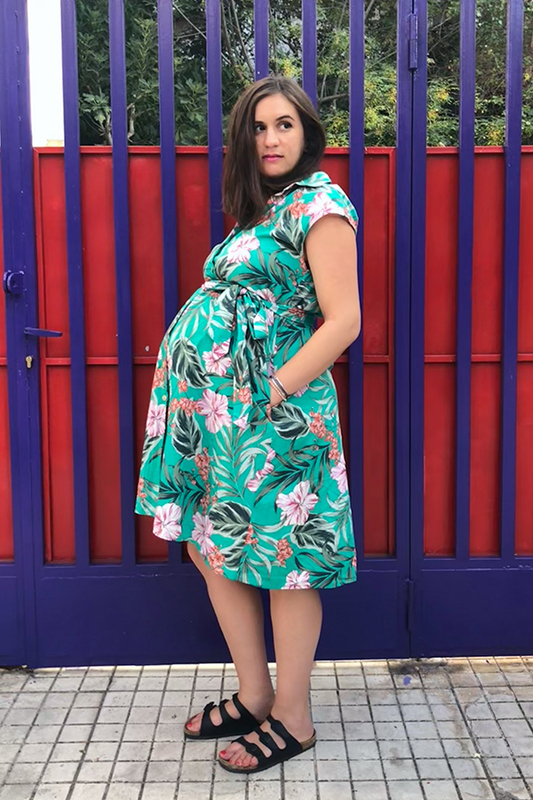 Floral dress, ASOS. Sandals, BIRKENSTOCK. Studded sandals, MIGATO. In vacation mode, wearing a mix n' match black bikini, meaning whatever pieces fit from my existing bikini collection. Black bikini top and bottom, OYSHO. 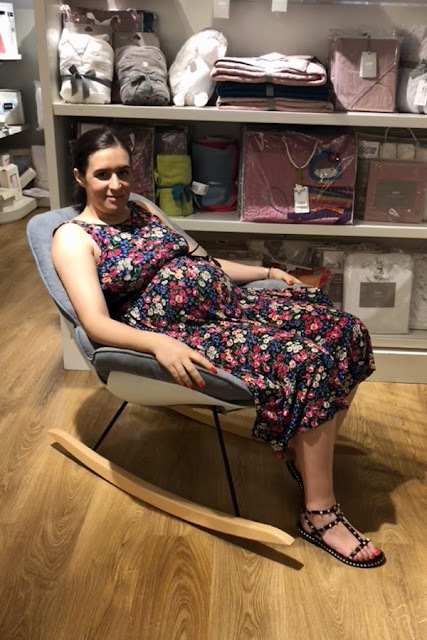 IKEA visit, wearing my all-time pregnancy favourite, a simple cotton non-maternity body-con dress. Dress, H&M. Sunglasses, RETROSUPERFUTURE. Studded sandals, MIGATO. Groceries run around the neighborhood. 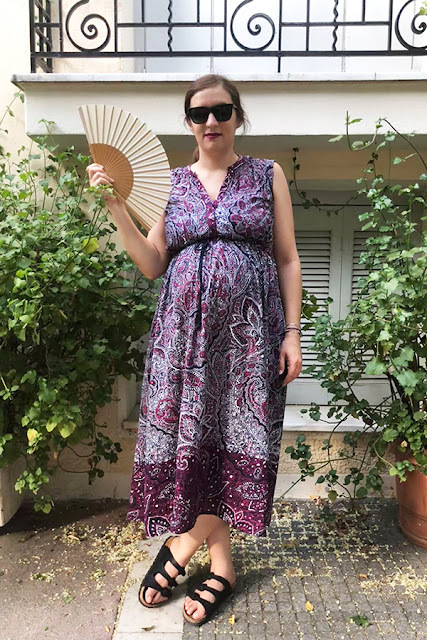 Got this dress this summer, exactly because the bump would fit, but also because the button-down front is nursing-friendy. 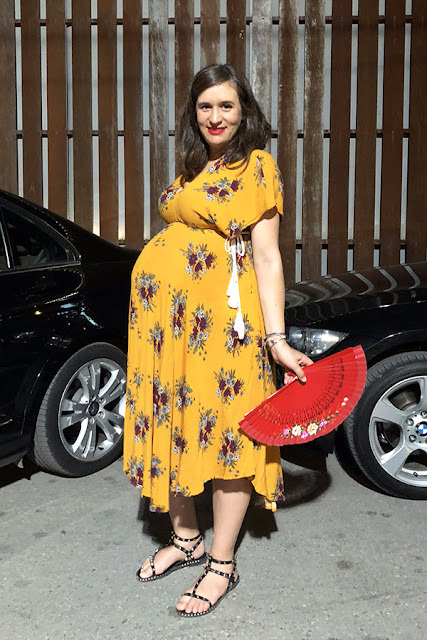 Yellow dress, ZAFUL. Studded sandals, MIGATO. If you want more, you can take a look on what I wore while pregnant the first time around! Never was a fan of pink, but magenta? Now you're talking. I was looking for a pair that wpuld combine comfort with a pop of colour and found it in this VANS pair. 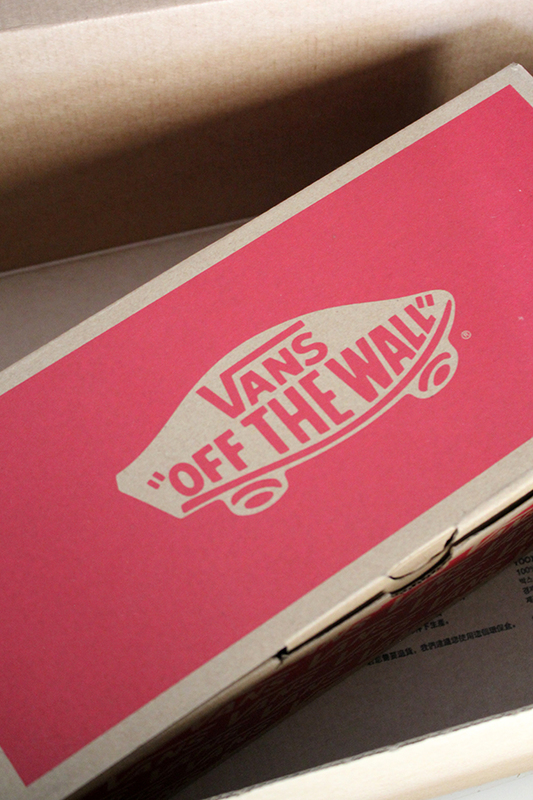 Got them on YOOX, on crazy sale of course. You can still find this exact magenta pair here, but only a couple of sizes are left at the moment, so I hope you get lucky... Keep in mind that at the moment I'm writing these lines YOOX is running an extra -35% off promo. Sharing is caring, people. 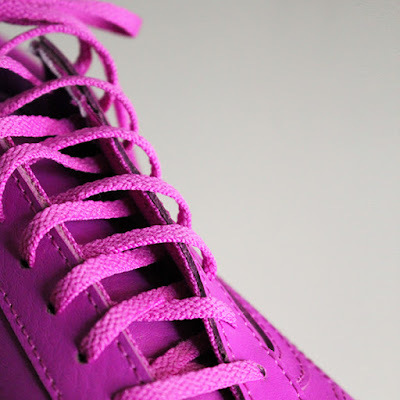 They even have a magenta waffle sole! Aren't they amazing? Can't wait to try them on with floral dresses.